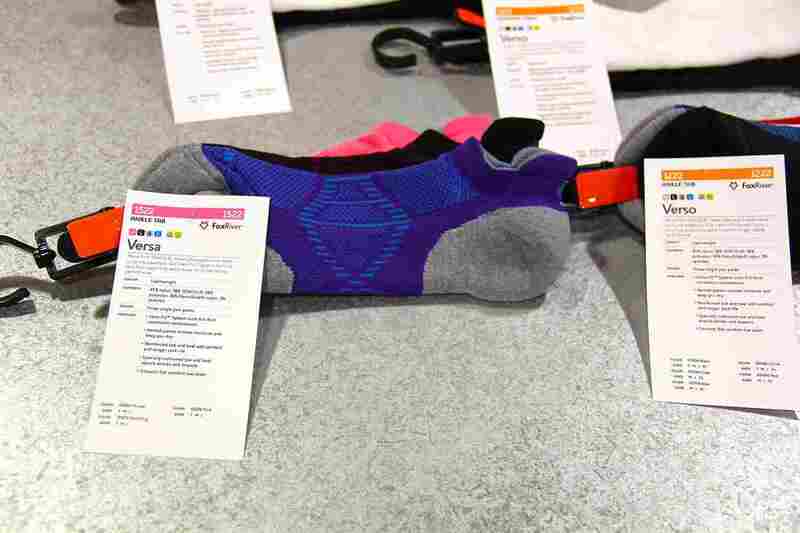 In my time at the OR FoxSox booth I was quite intrigued by the performance socks they had on show, particularly the Peak Sport and AXT series’. 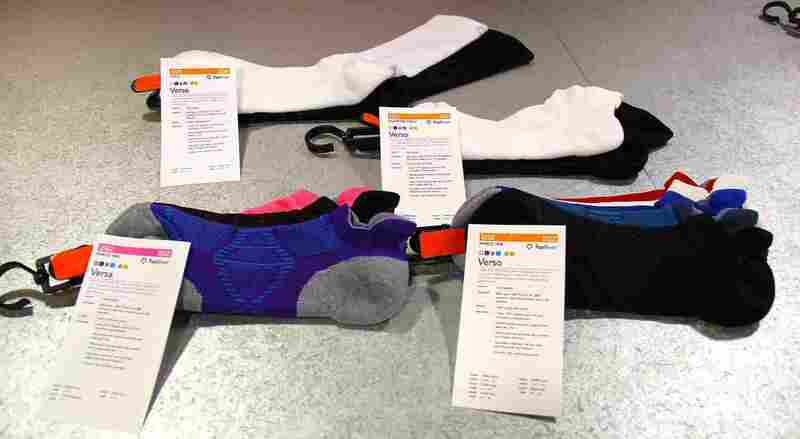 Socks are a big deal in a runners catalog and a great sock goes a long way so I knew the time spent would be quality as footwear is extremely important to those who partake in highly demanding physical activity that requires long term standing. 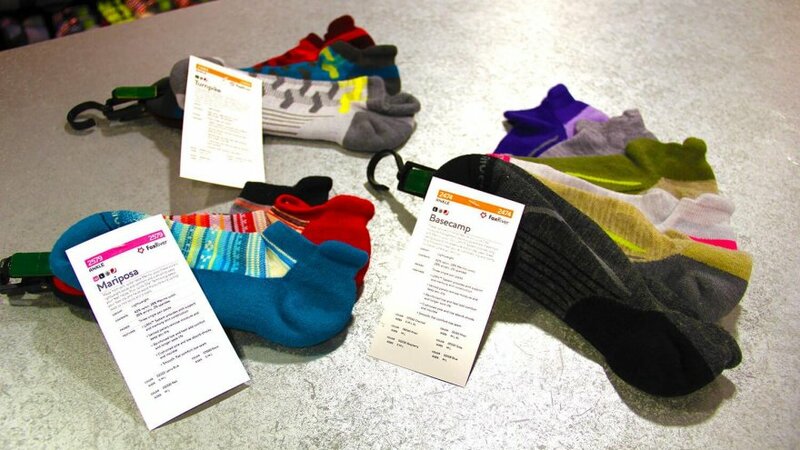 Not only runners, we all need a great pair of socks that will perform and that will last just as well. 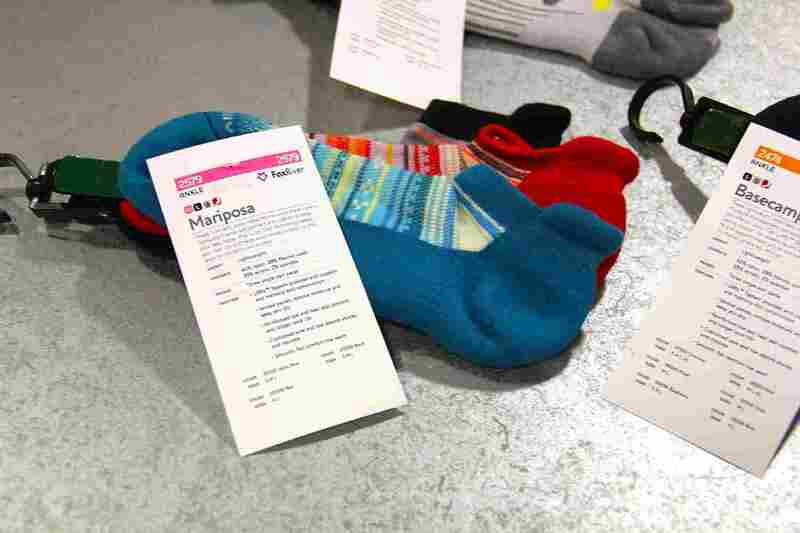 By the slight chance you are not yet familiar with the Fox River brand and their quality made socks, here’s a little bit of info for you to catch up. Fox River has been manufacturing socks for 116+ years in the heartland of the USA. 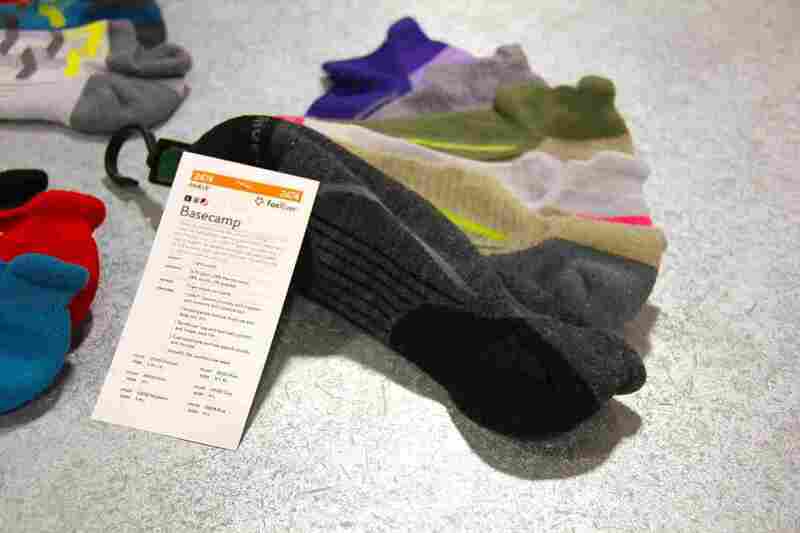 Their values are set on making socks of the highest quality with with the wellness for the American people in mind. They support the hard working soldiers and help get socks in their hands, and on their feet. To this day they continue to be a staple in the Unites States’ manufacturing industry for performance footwear and are one of the most persevering to this day. I am quite familiar with the brand but never had the chance to try out the two collections that we will cover on this overview. Now that I was able to view them from a hands-on perspective, here’s what I learned about these lines in particular. The Peak Series’ Sport Collection encompasses 3 common cuts, a crew, quarter crew, and ankle, and two main model styles. each with a gender specific iteration. Included are the Verso, Versa, Vite LX and Velox LX. They are all made of durable Tencel material with a Helix Fit system, comprised of spandex that wraps the heel of the foot, giving a proper, more accommodating, naturally structured fit. In other words, it allows for volumetric compression to pull any loose areas in for an overall better fit. The incorporated mesh in the key ventilation areas around the upper and under part of the midfoot help regulate air flow for effective moisture retention to negate build up upon perspiration. The heel and toe are made up of isolated NanoGlide materials which reinforce and add a cushioning, shock absorbing factor to the particular areas. Overall the socks are really soft, and because of the inherent nature of the mesh material, you’re promised a secure, accommodating fit. I can’t wait to get an in-depth review in on these from one of our runners’ perspective. So far, they seem great. The Verso is a Men’s style in the Peak Series: Sports Collection line-up. It comes in more masculine color schemes, in all of the mentioned cuts, crew, quarter and ankle. The versa is the women’s version of the Verso, and comes in more feminine color schemes such as pink or purple. A major difference here is that this version only comes in an ankle cut. The Versa & Verso are more or less a style option, and encompass the same effective features, material and overall effective functionality as the rest of the Peak Series: Sports Collection with just slight differences in material composition depending on the specific sock you get. There are more in this particular section, as noted in the introduction, although the Verso and Versa are the highlights as they are new. 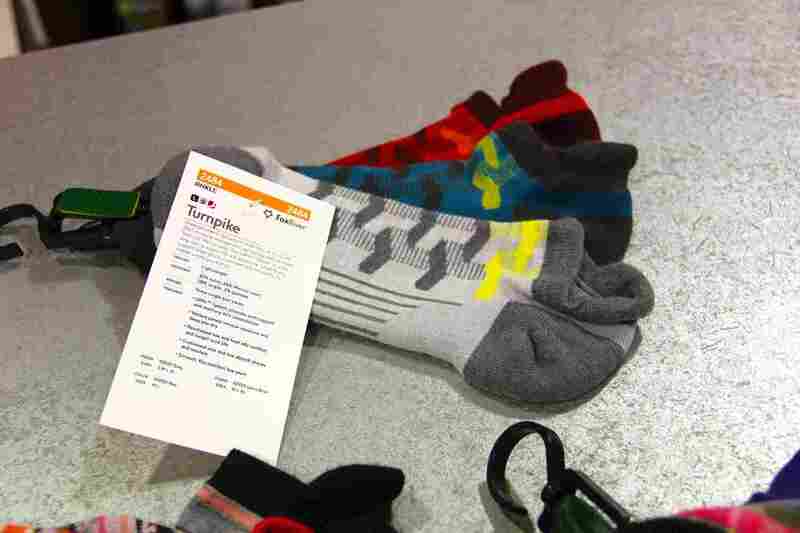 The Adventure Cross Terrain Collection, or AXT for short, are a line of durable, hardy socks made to endure a beating and provide ample cushioning. In this series, there are six model styles, the Mariposa, Batik, Harding, Turnpike, Basecamp, Jasper, and Yosemite. They utilize merino wool material. As part of their URfit system, sufficient arch support is achieved via spandex infused pockets and the effectiveness of this is further increased with their memory knit construction, giving a perfect form for the foots natural contours. Of course you need breathability and airflow, and they achieve this through ventilated panels which effectively regulate moisture to keep your feet dry. Areas such as the toe and heel are isolated with Nylon reinforced cushioning to add durability so that these high pressure areas don’t suffer from tearing due to strenuous activity. Overall you have a soft, durable, cushioned sock to get you through your run or workouts. This encompasses the crew, quarter and ankle cuts, with 20 color scheme options overall. This is an option for the Adventure Cross Terrain Collection that comes in Crew, Quarter, and Ankle. Color Schemes include Charcoal, Moss, Khaki, Grey, Raspberry, and blue across all three cuts. The material composition is 42% nylon, 28% merino wool, 28% acrylic, 2% spandex. This is another stylistic option for the Adventure Cross Terrain Collection. The Mariposa comes in a Crew and Ankle cut. Color Schemes include Black, Lyons Blue, Khaki, Purple and red. You get more color options for the Full crew. The ankle cut comes in black, Lyons blue and red. Yet another choice in their diverse range of style options in the Adventure Cross Terrain Collection. The Turnpike comes in a Crew and Ankle cut. Color Schemes include grey, lyons blue, and red through both cuts. So there you have it, a great line-up with many options to sift through. Although we only had time to cover a few, there are many other options in both collections from FoxSox, and even a broader range of series’ to look in to. These are their performance based collections, so will be of most use to runners getting their sessions in wherever they may find themselves, but FoxSox offers something for everybody. All of the aforementioned collections incorporate their Wick Dry technology to regulate moisture build-up by utilizing hydrophobic and hydropholic yarn. If that’s something you’re looking for, i suggest looking more into what they offer. 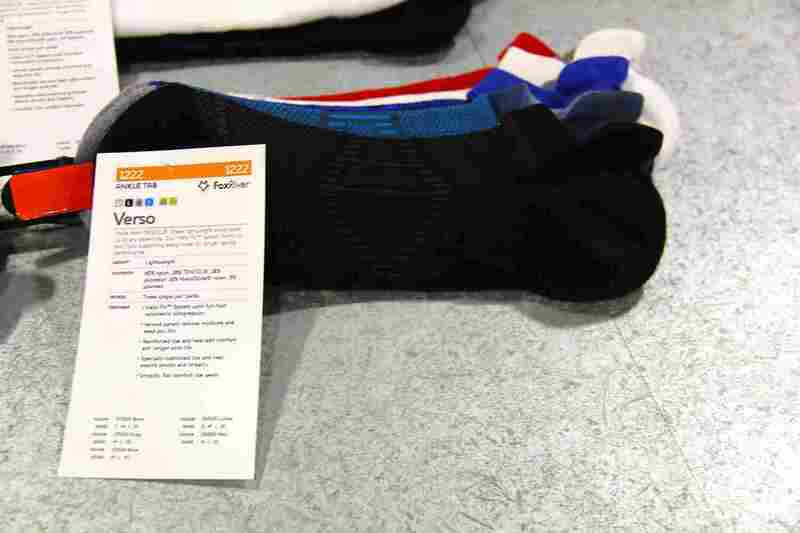 RunnerClick will be testing these socks soon, so look out for in-depth reviews from our runners’ perspectives.